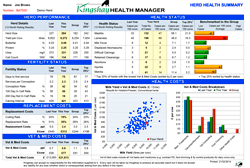 Quarterly health reports linking health issues to cow performance & herd profitability. 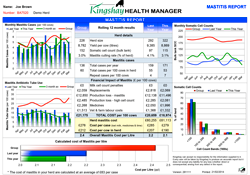 Unique comparison reports summarising health issues and calculating the hidden costs associated with Mastitis, Fertility and Lameness for your herd. 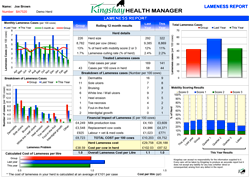 More details of the Premium Package reports are shown below with examples. Also includes an example of the Input Form showing typical data required. 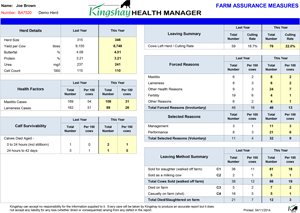 A summary of data required to comply with your Farm Assurance Audit. 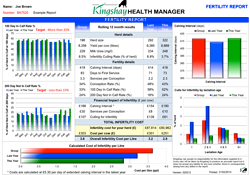 Includes mastitis and lameness cases, calf survivability and proportion of cows leaving for forced/involuntary reasons. 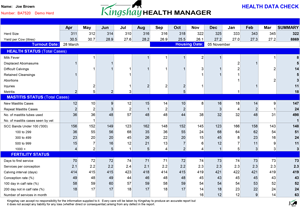 A 12 month summary of data entered for the Health package. 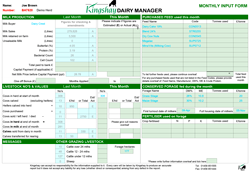 Includes General Health Issues, Mastitis and Lameness data, fertility data and Vet & Med and AI costs. 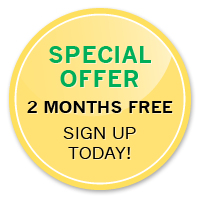 An example of the data required to complete the Premium package.